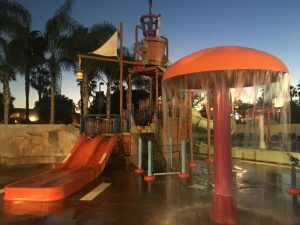 Howard Johnson Anaheim Hotel & Water Playground is a Disneyland with Kids delight. This hotel has been part of the Disneyland Resort area since 1965—that’s just 10 years younger than Disneyland itself. But don’t let age fool you; the property has held its own in Anaheim for 50+ years as it is continues to adapt and upgrade to suit your family’s needs. Note this stay was provided by Howard Johnson, all opinions are our own. Is Howard Johnson Close to Disneyland? 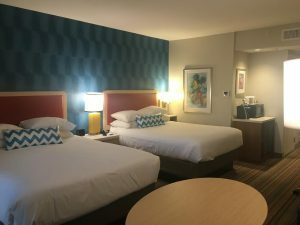 What are the rooms like at Howard Johnson? 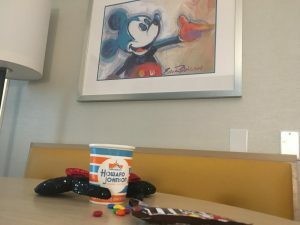 What freebies are included at Howard Johnson? What about breakfast? Does Howard Johnson have free breakfast? There’s so many purchases staying at Howard Johnson, however breakfast is only available offsite. I like stopping by McDonald’s for something cheap and quick, picking up Panera Bread right next door or having a sit down meal inside Mimi’s café. There’s really something for everyone just a few steps away. Plus you can have groceries delivered to your hotel if you’re more of do it yourself breakfast person. 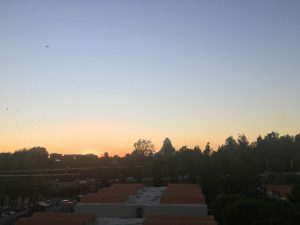 Is Howard Johnson good for visiting Disneyland with Kids? Having a hotel with “water playground” in the name is always a good sign when you’re looking for a place to stay with your family. The water playground is more of a splash pad space with small waterslides, a wading pool and water play area. Toddlers and preschoolers will love playing here. There is also another pool on property which features your typical swimming experience for the whole family. Be on the pools the hotel has a unique pirate theme to their entire experience. 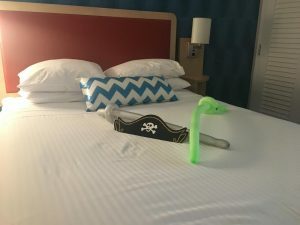 You’ll find balloon animals and swords at hotel check-in, where every front desk employee knows how to create fun balloon creations. Also at check in, get a pirate hat and choose a little treat from the pirate treasure box. There’s also a game room with arcade style video games and a souvenir shop on site. Combine all those items with renovated rooms, walking distance to Disneyland and the many other perks, it’s a win-win. Remember to claim your $10 savings when you use promo code DisneyKids. Are you a member of Disneyland with Kids? See what other group members have to say about Howard Johnson, or as we like to call it “HoJo” 🙂. 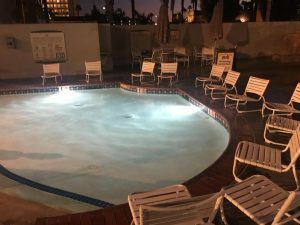 Have you ever stayed at Howard Johnson near Disneyland? We want to hear about it and how the hotel worked for your family, both pros and cons. Continue the conversation in our Disneyland with Kids Facebook group.